This project unites four existing projects in wet tropical forests of Latin America. Coordinated annual vegetation censuses in long-term study plots will be conducted to test specific chronosequence predictions for a range of dependent variables. Our collaborative project began in 2007 and is funded for 10 years by the US National Science Foundation. The Bosques Project, located in northeastern Costa Rica in and around La Selva Biological Station, was initiated in 1997 to investigate the factors that influence the spatial and temporal dynamics of seedling, sapling, and tree regeneration in second-growth forests. The project hopes to increase our knowledge of successional vegetation dynamics, and the use of secondary forests for forestry and biodiversity conservation. NOTE: The available funding for this project covers only half of the actual cost of field research. The project urgently needs funds to continue. If you are interested in making a donation to this project please contact Robin Chazdon. Your financial support will make a difference! Since 2008, together with Costa Rican researchers and with support from the blue moon fund, we have been monitoring trees in 18 0.5 ha forest monitoring plots in the Osa Biological Corridor in Costa Rica to evaluate changes in carbon storage and biodiversity during forest regrowth. We hope to expand this project to include studies of tree regeneration, tree functional traits, and remote sensing. 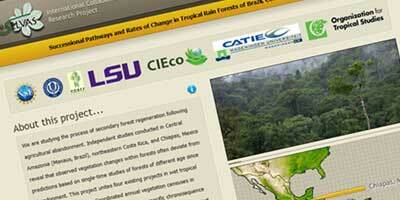 People and Reforestation in the Tropics, a Network for Education, Research, and Synthesis. PARTNERS is an NSF-funded Research Coordination Network that brings natural and social scientists together to address the complexity of socio-ecological processes that shape tropical reforestation. The 5-year project began in September 2013. If you support the long-term research I am doing in Costa Rica, please consider making a donation to this project. Front-page article on tropical deforestation and forest regeneration in the New York Times on Dec. 24, 2014 features my research and co-workers in Costa Rica. Blog on "Advancing the role of natural regeneration in large-scale forest restoration"
My book "Second growth: Tropical forest regeneration in an age of deforestation" is available as an e-book, paperback, or hardcover from the University of Chicago Press. Portuguese translation to be published soon! I am on leave from UConn for the 2015-2016 academic year and am a part-time Senior Research Associate with the International Institute of Sustainability in Rio de Janeiro, Brazil. Tent-making bats, frugivory, and seed dispersal of mature forest species. Baynes, J., J. Herbohn, R. L. Chazdon, H. Nguyen, J. Firn, N. Gregorio, D. Lamb. 2016. Effects of fragmentation and landscape variation on tree diversity in post-logging regrowth forests of the Southern Philippines. Biodiversity and Conservation (in press). Poorter, L. F. Bongers, T. M. Aide, A. M. Almeyda Zambrano, P. Balvanera, J. Becknell, V. Boukili, P. H. S. Brancalion, E. N. Broadbent, R. L. Chazdon, D. Craven et al. 2016. Biomass resilience of Neotropical secondary forests. Nature 530: 211-214. Menge, D. N. L., and R. L. Chazdon. 2015. Higher survival drives the success of nitrogen-fixing trees through succession in Costa Rican rainforests. New Phytologist 209: 965-977. Magnuszewski, P., K. Ostasiewicz, R. L. Chazdon, C. Salk, M. Pajak, J. Sendzimir, K. Andersson. 2015. Resilience and alternative stable states of tropical forest landscapes under shifting cultivation regimes. PLoS ONE (in press). Norden, N. H. A. Angarita, F. Bongers, M. Martínez-Ramos, I. Granzow-de la Cerda, M. van Breugel, E. Lebrija-Trejos, J. A. Meave, J. Vandermeer, G. B. W, B, Finegan, R. Mesquita, R. L. Chazdon. 2015. Successional dynamics in Neotropical forests are as uncertain as they are predictable. Proceedings of the National Academy of Science 112: 8013-8018. Slik, F. et al. 2015. An estimate of the number of tropical tree species. Proceedings of the National Academy of Sciences 112:7472-7477. Fagan, M. E., R. S. DeFries, S. E. Sesnie, J. P. Arroyo-Mora, C. Soto, A. Singh, P. A. Townsend, and R. L. Chazdon. 2015. Mapping species composition of forests and tree plantations in Northeastern Costa Rica with an integration of hyperspectral and multitemporal Landsat imagery. Remote Sensing 7:5660-5696. Bongers, F., R. Chazdon, L. Poorter, and M. Peña-Claros. 2015. The potential of secondary forests. Science (New York, NY) 348:642. Rozendaal, D. A. and Chazdon, R. L. 2015. Demographic drivers of tree biomass change during secondary succession in northeastern Costa Rica. Ecological Applications 25, 506-516. Messier, C., K. Puettmann, R. Chazdon, K. Andersson, V. Angers, L. Brotons, E. Filotas, R. Tittler, L. Parrott, and S. Levin. 2015. From management to stewardship: viewing forests as complex adaptive systems in an uncertain world. Conservation Letters (in press). Valle, D., B. Baiser, C. W. Woodall, and R. Chazdon. 2014. Decomposing biodiversity data using the Latent Dirichlet Allocation model, a probabilistic multivariate statistical method. Ecology Letters 17:1591-1601. Chazdon, R. L. 2014. Second growth: The promise of tropical forest regeneration in an age of deforestation. University of Chicago Press, Chicago, IL. 449 pages. Plourde, B. T., Boukili, V. K. and Chazdon, R. L. 2015. Radial changes in wood specific gravity of tropical trees: inter- and intraspecific variation during secondary succession. Functional Ecology 29, 111-120. Lasky, J. R., M. Uriarte, V. K. Boukili, D. L. Erickson, W. J. Kress, and R. L. Chazdon. 2014. The relationship between tree biodiversity and biomass dynamics changes with tropical forest succession. Ecology Letters 17:1158-1167. Sullivan, B. W., W. K. Smith, A. R. Townsend, M. K. Nasto, S. C. Reed, R. L. Chazdon, and C. C. Cleveland. 2014. Spatially robust estimates of biological nitrogen (N) fixation imply substantial human alteration of the tropical N cycle. Proceedings of the National Academy of Sciences 111:8101-8106. Chazdon, R. L., B. Vilchez Alvarado, S. Letcher, A. Wendt, and U. U. Sezen. 2014. Effects of human activities on successional pathways: Case studies from lowland wet forests of Northeastern Costa Rica. Pp. 129-139 in Hecht, S., K. Morrison, and C. Padoch, Eds. The Social Life of Forests; Editors; University of Chicago Press. Klos, P. Z., A. Chain-Guadarrama, T. E. Link, B. Finegan, L. A.Vierling, R. Chazdon. 2014. Throughfall heterogeneity in tropical forested landscapes as a focal mechanism for deep percolation. Journal of Hydrology 519: 2180-2188. Lasky, J. R., M. Uriarte, V. K. Boukili, and R. L. Chazdon. 2014. Multiple effects of functional trait variation on tree community dynamics in tropical successional forests. Proceedings of the National Academy of Science 111: 5616-5621. Sandor, M. E., and R. L. Chazdon. 2014. Remnant trees affect species composition but not structure of tropical second-growth forest. PLoS One 9:e83284. Filotas, E., Parrott, L., Burton, P. J., Chazdon, R. L., Coates, K. D., Coll, L., Haeussler, S., Martin, K., Nocentini, S., Puettmann, K. J., Putz, F. E., Simard, S. W., Messier, C. 2014. 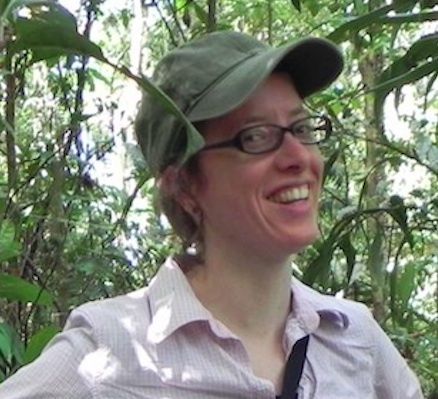 Viewing forests through the lens of complex systems science. EcoSphere 5:art1. Chazdon, R. L. and J. P. Arroyo. 2013. Tropical forests as complex adaptive systems. Pp. 35-59 in Messier, C., K J. Puettmann, and K. D. Coates, Eds. Managing forests as complex adaptive systems: Building resilience to the challenge of global change. Routledge, NY. Chazdon, R. L. 2013. Regenerating tropical forest ecosystems. Pp. 277-286 in: Levin, S., Editor. Encyclopedia of Biodiversity, 2nd Edition, Volume 7. Academic Press, Waltham, MA. Arroyo-Rodriguez, V., M. Ros, F. Escobar, F. P. L. Melo, B. A. Santos, M. Tabarelli, and R. Chazdon. 2013. Plant β-diversity in fragmented rain forests: testing floristic homogenization and differentiation hypotheses. Journal of Ecology 101: 1449-1458. Chazdon, R. L. 2013. Strategies for landscape-scale restoration in the tropics. Journal of Sustainable Forestry 32:649–658. Salk, C. F., R. L. Chazdon, and K. P. Andersson. 2013. Detecting landscape-level changes in above-ground tree biomass and biodiversity: Methodological constraints and challenges of plot-based approaches. Canadian Journal of Forest Research 43:799-808. Norden, N., S. G. Letcher, V. Boukili, N. G. Swenson, and R. L. Chazdon. 2012. Demographic drivers of successional changes in phylogenetic structure across life history stages in tropical plant communities. Ecology 93 (Supplement): S70-S82. Letcher, S. G., R. L. Chazdon, A. Andrade, F. Bongers, M. van Breugel, B. Finegan, S. G. Laurance, R. C. G. Mesquita, M. Martinez-Ramos, and G. B. Williamson. 2011. Phylogenetic community structure during succession: evidence from three Neotropical forest sites. Perspectives in Plant Ecology Evolution and Systematics 14: 79-87. Chazdon, R. L., C. A. Harvey, M. Martínez-Ramos, P. Balvanera, K. E. Stoner, J. E. Schondube, L. D. Avila-Cabadilla, and M. Flores-Hidalgo. 2011. Seasonal dry forest biodiversity and conservation value in agricultural landscapes of Mesoamerica. Pages 195-219 in R. Dirzo, H. A. Mooney, G. Ceballos, and H. Young, editors. Ecology and Conservation of Neotropical Dry Forests. Island Press, Washington, D. C.
Jost, L., A. Chao, and R. L. Chazdon. 2011. Compositional similarity and β (beta) diversity. Pages 66-84 in A. E. Magurran and B. J. McGill, editors. Biological diversity: Frontiers in measurement and assessment. Oxford University Press, New York. Norden, N., R. C. G. Mesquita, T. V. Bentos, R. L. Chazdon, and G. B. Williamson. 2011. Contrasting community compensatory trends in alternative successional pathways in central Amazonia. Oikos 120:143-151. Antonarakis, A. S., S. S. Saatchi, R. L. Chazdon, and P. R. Moorcroft. 2011. Using Lidar and Radar measurements to constrain predictions of forest ecosystem structure and function. Ecological Applications 21:1120-1137. Saatchi, S., M. Marlier, R. Chazdon, D. Clark, and A. Russell. 2011. Impact of spatial variability of tropical forest structure on radar estimation of aboveground biomass. Remote Sensing of Environment doi:10.1016/j.rse.2010.07.015. Chazdon, R. L., A. Chao, R. K. Colwell, S.-Y. Lin, N. Norden, S. G. Letcher, D. B. Clark, B. Finegan, and J. P. Arroyo. 2011. A novel statistical method for classifying habitat generalists and specialists. Ecology 92:1332-1343. DeClerck, F., R. Chazdon, K. Holl, J. Milder, B. Finegan, A. Martinez-Salinas, P. Imbach, L. Canet, and Z. Ramos. 2010. Biodiversity conservation in human-modified landscapes of Mesoamerica: Past, present and future. Biological Conservation 143:2301-2313. Dubayah, R. O., S. L. Sheldon, D. B. Clark, M. A. Hofton, J. B. Blair, G. C. Hurtt, and R. L. Chazdon. 2010. Estimation of tropical forest height and biomass dynamics using lidar remote sensing at La Selva, Costa Rica. Journal of Geophysical Research 115:1-17. Uriarte, M., N. G. Swenson, R. L. Chazdon, L. S. Comita, W. J. Kress, D. Erickson, J. Forero-Montaña, J. K. Zimmerman, and J. Thompson. 2010. Trait similarity, shared ancestry and the structure of neighbourhood interactions in a subtropical wet forest: implications for community assembly. Ecology Letters 13:1503-1514. Vilchez Alvarado, B., R. L. Chazdon, and V. Milla Quesada. 2009. Dinámica de la regeneración en cuatro bosques secundarios tropicales de la región Huetar Norte, Costa Rica: Su valor para la conservación o uso commercial. Recursos Naturales y Ambiente no. 55: 118-128. Norden, N., S. G. Letcher, V. Boukili, N. G. Swenson, and R. L. Chazdon. 2011. Demographic drivers of successional changes in phylogenetic structure across life history stages in tropical plant communities. Ecology in press. Chazdon, R. L., A. Chao, R. K. Colwell, S.-Y. Lin, N. Norden, S. G. Letcher, D. B. Clark, B. Finegan, and J. P. Arroyo. 2011. A novel statistical method for classifying habitat generalists and specialists Ecology 92:1332-1343. Chazdon, R. L., B. Finegan, R. S. Capers, B. Salgado-Negret, F. Casanoves, V. Boukili, and N. Norden. 2010. Composition and dynamics of functional groups of trees during tropical forest succession in northeastern Costa Rica. Biotropica 42:31-40. Melo, F., B. Rodriguez-Herrera, R. L. Chazdon, G. Ceballos and R. Medellin. 2009. Small tent-roosting bats promote dispersal of large-seeded plants in a Neotropical forest. Biotropica 41: 737-743. Letcher, S. G. and R L. Chazdon. 2009. Lianas and self-supporting plants during tropical forest succession. Forest Ecology and Management 257: 2150-2156. Gardner, T., J. Barlow, R. L. Chazdon, R. Ewers, C. A. Harvey and N. S. Sodhi. 2009. Prospects for tropical forest biodiversity in a human-modified world. Ecology Letters 12: 561-582. Norden, N., R. L. Chazdon, A. Chao, Y.-H. Jiang and B. Vilchez Alvarado. 2009. Resilience of tropical rain forests: Tree community reassembly in secondary forests. Ecology Letters 12: 385-394. Sezen, U. U., R. L. Chazdon and K. E. Holsinger. 2009. Proximity is not a proxy for parentage in an animal-dispersed Neotropical canopy palm. Proc. Royal Soc. London B 276: 2037-2044. Chazdon, R. L., C. Harvey, O. Komar, D. Griffith, B. Ferguson, M. Martínez-Ramos, H. Morales, R. Nigh, L.Soto-Pinto, M. van Breugel S. Philpott. 2009. Beyond reserves: A research agenda for conserving biodiversity in tropical human-modified landscapes. Biotropica 41: 142-153. Chazdon, R.L. 2008. Beyond deforestation: Restoring forests and ecosystem services on degraded lands. Science 320: 1458-1460. Chao, A., L. Jost, S. C. Chiang, Y.-H. Jian, and R. L. Chazdon. 2008. A two-stage probabilistic approach to multiple-community similarity indices. Biometrics 64: 1178-1186. Chazdon, R. L. 2008. Chance and determinism in tropical forest succession. In: Carson, W. and S. Schnitzer, Eds. Tropical Forest Community Ecology. Wiley-Blackwell Publishing, pp. 384-408. Dupuy, J. M. and R. L. Chazdon. 2008. Interacting effects of canopy gap, understory vegeation and leaf litter on tree seedling recruitment and composition in tropical secondary forests. Forest Ecology and Management 255: 3716-3725. Harvey, C. A., O. Komar, R. Chazdon, B. G. Ferguson, B. Finegan, D. M. Griffith, M. Martinez-Ramos, H. Morales, R. Nigh, L. Soto-Pinto, M. van Breugel, and M. Wishnie. 2008. Integrating agricultural landscapes with biodiversity conservation in the Mesoamerican Hotspot. Conservation Biology 22: 8-15. Sodhi, N. S., L. P. Koh, K. S.-H. Peh, H. T. W. Tan, R. L. Chazdon, R. T. Corlett, T. M. Lee, R. K. Colwell, B. W. Brook, C. H. Sekercioglu, and C. J. A. Bradshaw. 2008. Correlates of extinction proneness in tropical angiosperms. Diversity and Distributions 14: 1-10. Vilchez, B., R. L. Chazdon, and W. Alvarado. 2007. Fenologia reproductive de las especies del dosel superior en seis sitions de la region Huetar Norte de Costa Rica. 2007. Kuru: Revista Forestal Costa Rica. Sezen, U. U., R. L. Chazdon, and K. E. Holsinger. 2007. Multigenerational genetic analyses of tropical secondary regeneration in a canopy palm. Ecology 88: 3065-3075. Chazdon, R. L., S. G. Letcher, M. van Breugel, M. Martinez-Ramos, F. Bongers and B. Finegan. 2007. Rates of change in tree communities of secondary Neotropical forests following major disturbances. Philosophical Transactions of the Royal Society B-Biological Sciences 362: 273-289. Chao, A., R. L. Chazdon, R. K. Colwell and T. J. Shen. 2006. Abundance-based similarity indices and their estimation when there are unseen species in samples. Biometrics 62: 361-371. Palomaki, M. B., R. L. Chazdon, J. P. Arroyo and S. G. Letcher. 2006. Juvenile tree growth in relation to light availability in second-growth tropical rain forests. Journal of Tropical Ecology 22: 223-226. Lusk, C. H., Chazdon, R. L., and G. Hofmann. 2006. A bounded null model explains juvenile tree community structure along light availability gradients in an old-growth temperate rain forest. Oikos 112: 131-137. Dupuy, J. M. and R. L. Chazdon. 2006. Effects of vegetation cover on seedling and sapling dynamics in secondary tropical wet forests in Costa Rica. Journal of Tropical Ecology 22: 65-76. Ruiz, J., M. C. Fandino, and R.L. Chazdon. 2005. Vegetation structure, composition, and species richness across a 56-year chronosequence of dry tropical forest on Providencia Island, Colombia. Biotropica 37: 520-530. Capers, R. S. R. L. Chazdon, Redondo Brenes, Al, and Vilchez Alvarado, B. 2005. Successional dynamics of woody seedling communities in wet tropical secondary forests. Journal of Ecology 93: 1071-1084. Cardelus, C. L. and R. L. Chazdon. 2005. Inner-crown microenvironments of two emergent tree species in a lowland wet forest. Biotropica 37: 238-244. Chazdon, R. L., A. Redondo Brenes, and B. Vilchez Alvarado. 2005. Effects of climate and stand age on annual tree dynamics in tropical second-growth rain forests. Ecology 86: 1808-1815. Iriarte, S. B. B. and R. L. Chazdon. 2005. Light-dependent seedling survival and growth of four tree species in Costa Rican second-growth rain forests. Journal of Tropical Ecology 21: 383-395. Vilchez Alvarado, R. L. Chazdon, and A. Redondo. 2004. Fenologia reproductiva de cinco especies forestales del Bosque Secundario Tropical. Kuru: Revista Forestal Costa Rica 1(2): 1-10. Redondo Brenes, R. L. Chazdon, and B. Vilchez Alvarado. 2004. Effects of selective logging on dynamics and composition of woody seedlings in a tropical secondary forest. Kuru: Revista Forestal Costa Rica 1(3): 1-11. Capers, R. S. and R. L. Chazdon. 2004. 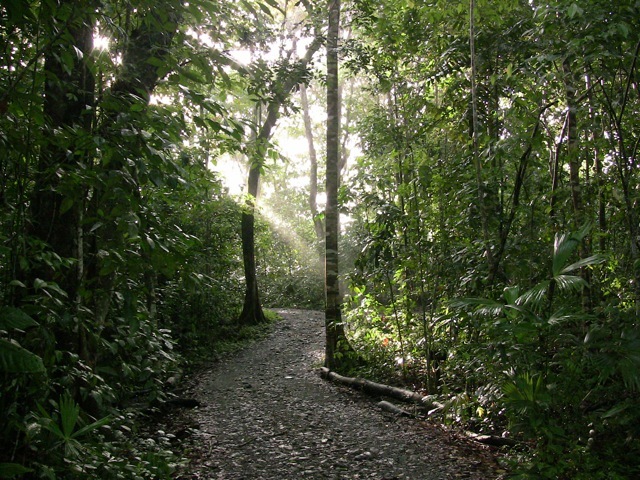 Rapid assessment of understory light availability in a wet tropical forest. Agricultural and Forest Meteorology 123: 177-185. Chazdon, R. L. 2003. Tropical forest recovery: legacies of human impact and natural disturbances. 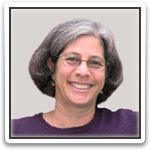 Perspectives in Plant Ecology, Evolution and Systematics, 6: 51-71. Chazdon, R. L., S. Careaga, C. Webb, and O. Vargas. 2003. Community and phylogenetic structure of reproductive traits of woody species in wet tropical forests. Ecological Monographs 73: 331-348. Chazdon, R. L. and T. C. Whitmore. 2002. Foundations of Tropical Forest Biology: Classic Papers with Commentaries. University of Chicago Press. Montgomery, R. A. and R. L. Chazdon. 2002. Light gradient partitioning by tropical tree seedlings in the absence of canopy gaps. Oecologia 131: 165-174. Drake, J. B., R. O. Dubayah, D. B. Clark, R. G. Knox, J. B. Blair, M. A. Hofton, R. L. Chazdon, J. F. Weishampel, and S. Prince. 2002. Estimation of Tropical Forest Structural Characteristics Using Large-footprint Lidar.? Remote Sensing of Environment. 79: 305-319. Redondo B., A., B. Vilchez A., R. L. Chazdon. 2001. Estudio de la dinamina y composicion de cuatro bosques secundarios en la region Huetar Norte, Sarapiqui--Costa Rica. Revista Forestal Centroamericana No. 36 (Oct-Dec) 21-26. Montgomery, R. A. and R. L. Chazdon. 2001. Forest structure, canopy architecture, and light transmittance in old-growth and second-growth tropical rain forests. Ecology 82: 2707-2718. Chazdon, R. L., R. K. Colwell, and J. S. Denslow. 1999. Tropical tree richness and resource-based niches. Science 285: 1459a [on-line journal only]. Chazdon, R. L. and F. G. Coe. 1999. 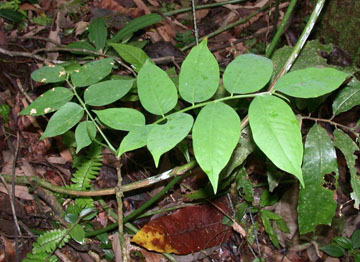 Ethnobotany of woody species in second-growth, old-growth, and selectively logged forests of northeastern Costa Rica. Conservation Biology 13: 1312-1322. Nicotra, A. B., R. L. Chazdon, and S. Iriarte. 1999. Spatial heterogeneity of light and woody seedling regeneration in tropical wet forests. Ecology 80: 1908-1926. Canham, C. D., R. K. Kobe, Latty, E. F. Chazdon, R. L. 1999. Interspecific and intraspecific variation in tree seedling survival: effects of allocation to roots versus carbohydrate reserves. Oecologia 121: 1-11. Dupuy, J. M. and R. L. Chazdon. 1998. Long-term effects of forest regrowth and selective logging on the seed bank of tropical forests in NE Costa Rica. Biotropica 30: 223-237. Butler, B. J. and R. L. Chazdon. 1998. Species richness, spatial variation, and abundance of the soil seed bank of a secondary tropical rain forest. Biotropica 30: 214-222. Guariguata, M. R., R. L. Chazdon, J. S. Denslow, J. M. Dupuy and L. Anderson. 1997. Structure and floristics of secondary and old-growth forest stands in lowland Costa Rica. Plant Ecology 132: 107-120. Nicotra, A. B., R. L. Chazdon and C. D. Schlichting. 1997. Patterns of genotypic variation and phenotypic plasticity of light response in two tropical Piper (Piperaceae) species. American Journal of Botany 84: 1542-1553. Kabakoff, R. P. and R. L. Chazdon. 1996. Effects of canopy species dominance on understory light availability in tropical secondary rain forest. Journal of Tropical Ecology 12: 779-788. Chazdon, R. L., R. K. Colwell, J. S. Denslow and M. Guariguata. 1998. Statistical estimation of species richness of woody regeneration in primary and secondary rainforests of NE Costa Rica. . Pp 285-309 In: Dallmeier, F., and J. Comisky, eds. Forest Biodiversity in North, Central, and South America and the Caribbean: Research and Monitoring. Parthenon Press, Paris. Chazdon, R. L., R. W. Pearcy, D. W. Lee and N. Fetcher. 1996. Photosynthetic responses to contrasting light environments. pp. 5-55 in: Mulkey, S., Chazdon, R. and Smith, A. P. (eds.) Tropical Forest Plant Ecophysiology, Chapman and Hall.